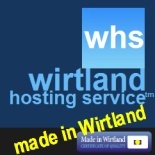 Wirtland, an internet community which considers itself a micronation, invented a new way to generate funds to help small developing countries. Many small third world countries have scarce resources, almost non-existent economies, and extremely high levels of unemployment. However, even the smallest of them possess territory - and that's what matters in Wirtland’s plan. According to it, all currently unused, barren or abandoned territory, including mountains, wasteland left over after mining, or even adjacent sea, lagoons, coral reef can become a source of immediate income. How? Wirtland proposes to sell the plots of such territory. Though the current market price of such plots is close so zero, Wirtland knows how to make them attractive to buyers. Here's the catch: first Wirtland proposes to formally acquire this territory, because this web-based micronation aspires to become a real sovereign country, and therefore needs own legitimate land. This is not as fantastic as it sounds – the international law (Montevideo Convention) leaves the door open for formation of new states. To be eligible for international recognition Wirtland needs territory - even a symbolic piece of land, which is not under jurisdiction of any other country. It can be achieved through a contract with a country, which wants to cash in on its unused land resources and agrees to transfer a piece of its territory to Wirtland. Such an agreement will be the world’s first case of legal formation of a new country from a virtual community. It will be an unparalleled global sensation, and immediately will bring the agreement in the focus of world attention. This is one of reason why Wirtland hopes there is market for its plots. 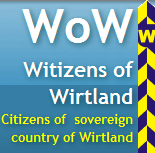 Another reason is citizenship of the world’s newest state and other benefits which come along with passport of Wirtland, which will no longer be just a virtual micronation, but a fully-fledged sovereign state. Yet another reason of high demand in Wirtland property will be its competitive pricing – many times lower than other options for second citizenship on the market today. Of course, no one will physically move to a Pacific island or other remote property. Wirtland will remain a virtual country, so all its citizens will safely remain in their homes, but with legitimate second passports, certificates of land ownership, and full sets of human rights including free travel, or rights to elect and be elected for various positions within the ever-growing global state. As Wirtland divides the land into tiny plots and offers them for sale, all the profits will go into the budget of the donor country. This is how the developing nation will financially benefit from the deal: its government will receive income from otherwise worthless land. A simple calculation shows that, if Wirtland sells symbolic 1 square meter of land for a symbolic one thousand dollars, just one hectare (100m x 100m) of territory will bring 10 million dollars to the developing nation. And a single square mile may bring in a hefty 2,6 billion addition to the country’s budget! Wirtland’s gain from the deal is not financial – by acquisition of a formal territory it becomes eligible for international recognition, for the first time in the world history. This is why the size and quality of territory are not important for Wirtland. In fact, Wirtland may sell plots from more than one developing country, strengthening its statehood by stepping into several regions of the world – in case the sufficient demand for Wirtland’s plots and alternative citizenship. It is known officially that Wirtland started its contacts with potential partner countries with Nauru, a tiny Pacific nation. How the developing countries will react to Wirtland’s proposal is yet to be seen. There are dozens cash-strapped third-world nations in the world today. Even if just one of them takes the virtual micronation seriously, it will be a major sign of the times, showing that virtual life is firmly setting its rules everywhere, and changing profoundly the life of 21 century.